Welcome to the Governors section of our website. 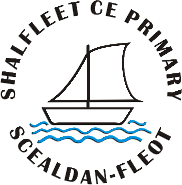 At the Federation of the Church Schools of Shalfleet and Yarmouth, staff and governors work together as a team to create a safe, happy, and high attaining environment for the children and a welcoming, supportive community for our parents and carers; a community where everyone feels valued. The Federation is very lucky to have a diverse group of governors supporting both schools. They are involved with a variety of issues including finance, pupil welfare, performance management, policies, buildings/grounds, etc. However without doubt we consider that our most important role is to ensure that the Federation seeks the highest standards from its pupils and delivers high quality education for local children in a safe environment. We are very proud of the children in our schools. We would also like to thank our parents and carers for your support and encouragement of your children. This is invaluable for their progress and well-being. Our Governing body is made up out of members from our community. Our current Instrument of Government which is approved by both the Diocesan Board of Education and the Local Authority is included on this site for your information together with a list of the governors. To support our pupils to achieve Age Related Expectation in line with or better than National Averages in EYFS, Key Stage 1 and Key Stage 2 in Maths. To maintain the number of children achieving Greater Depth at the end of Key Stage 1 and 2 at or above National Averages. To ensure continued high quality teaching of ‘Phonics’, supporting our pupils to achieve at or above the National Average. To support our pupils to achieve Age Related Expectation in line with or better than National Averages in EYFS, Key Stage 1 and Key Stage 2 in Reading, Writing and Grammar. To maintain the number of children achieving Greater Depth at the end of Key Stage 1 and 2 at or above National Averages. To develop our curriculum even further, offering exciting and enriching opportunities for learning and working collaboratively; by increasing cultural experiences both on and off the Island, working with topics that they have an interest in as well as increasing opportunities to work collaboratively within and across both schools. To improve the outcomes for vulnerable groups; to ensure the children who need most help receive all the focus and support they need to be successful. Both are schools rated a solid good with Ofsted and the Federation is a strong unit through the commitment of staff, governors and the wider community. Pupils enjoy working and playing at each other’s schools, meeting friends from the communities they live in and residential trips are undertaken together to broaden their experiences in preparation for Secondary School. Staff are working across the Federation and with other schools to share best practice and benefit from the wider experience, keeping the learning in our schools vibrant and engaging and creating new opportunities for the children. The Federation is a positive experience for everyone. 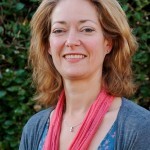 We have dedicated governors who give significant time voluntarily to support both schools and are committed to offering the best education in the West Wight. On this website we aim to publish our latest minutes and other relevant information in order to keep you informed of our work. Should you have any questions in the meantime however, please do not hesitate to contact me or Katie Riley, Clerk to the Governing Body. 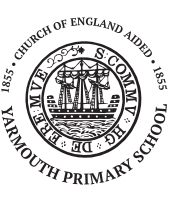 The chair of the governing body may be contacted through either school office – Shalfleet (01983 760269) or Yarmouth (01983 760345). Please click the link to the National Governors Association for the acronyms, abbreviations and glossary.